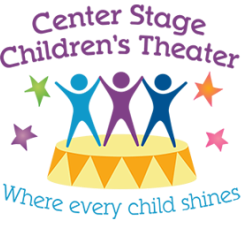 Through the process of developing acting, dancing and singing skills, CSCT participants simultaneously learn important lessons in teamwork, leadership and cooperation. The cast and crew are given the opportunity to work as a group to create a performance piece, whether they are rehearsing, performing on stage or helping backstage. CSCT is open to all students, and as a result children are able to meet new people from other schools, fostering friendships that will last a lifetime. As CSCT students grow with the program, they develop the tools to become leaders, creating a welcoming environment for new students. The older students are empowered to be positive role models for their younger peers and are given opportunities to teach, allowing them to learn from that responsibility. We believe theatre has the power to facilitate the development of life skills. Throughout the production process, students gain self-confidence, social skills and empathy, which are crucial to living a successful and happy life.